Welcome back to another edition of Flashback Friday. This week I wanted to cover one of my favorite bands from the early 90's…a band who never really got quite the recognition they deserved, which is probably just fine with them. Whether they would admit to it or not, these guys had an influence on countless other bands throughout the years, from the Seattle grunge scene that exploded right around the time they were calling it quits, to the sludge metal we know and love today. Fudge Tunnel's brand of noise rock was way ahead of its time and if you've never heard it, now is as good a time as any to dig into the archives and see what you missed. The band, which featured Alex Newport (vocals/guitar), David Ryley (bass) and Adrian Parkin (drums), got their start in 1988 in Nottingham, UK and immediately turned heads due to what was, at the time, considered to be an unclassifiable sound…nobody was doing what these guys were doing. 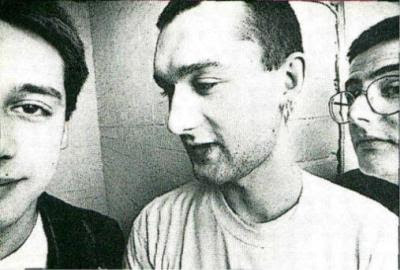 An early tour with Justin Broadrick's juggernaut industrial-metal act Godflesh cemented Fudge Tunnel as an act to keep an eye on and Earache Records, with whom they shared a hometown, quickly snatched them up. The result was their now classic 1991, debut LP Hate Songs in E Minor, a beautiful cacophony of pure heaviness that turned the heads of metal purists and alt-rock newcomers alike. 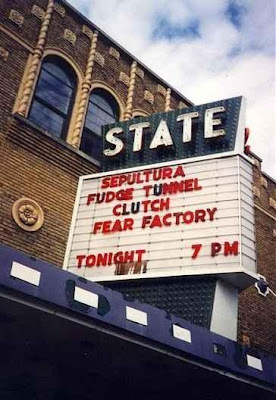 In fact, one fan in particular happened to be Max Cavalera, at the time the frontman for seminal metal band Sepultura, who in 1993, released their now classic Chaos A.D. album…the same year that Fudge Tunnel would release their sophomore effort, Creep Diets. This of course led to the two bands touring together (a tour that also featured Clutch and Fear Factory…seriously!) and even more importantly to a collaboration between Cavalera and Newport called Nailbomb. The duo teamed up to create an epic industrial metal album called Point Blank that is still considered a high water mark for the genre today. In addition, Nailbomb played one show and one show only together, a now legendary performance at the Dynamo Open Air Festival in Eindhoven, the Netherlands, which was subsequently released on disc as the album Proud to Commit Commercial Suicide. Following this brief side project, Fudge Tunnel re-entered the studio and recorded their third and final album, 1994's The Complicated Futility of Ignorance. The album was yet another sledgehammer to the eardrums with it's dissonant guitars, ferocious vocals and sheer wall of sound. It was easily among the best releases of the early 90's. But by this point, the guys in the band had begun to run out of steam, having never really embraced their flirtations with success and the press relations that come with it. The following year they called it quits for good. In the years following, the members of Fudge Tunnel have all been involved with a variety of other projects both musical and otherwise. Most notably, Alex Newport went on to become a Grammy-nominated producer/mixer and has been at the helm of albums by various acts such as At the Drive-In, The Mars Volta and Melvins, to name only a few. If you were too young to have heard Fudge Tunnel back in the day or if perhaps you just missed their brief moment in the spotlight, I encourage you to take this opportunity to check them out now. Mark my words, their music still holds up today as if they recorded it yesterday.